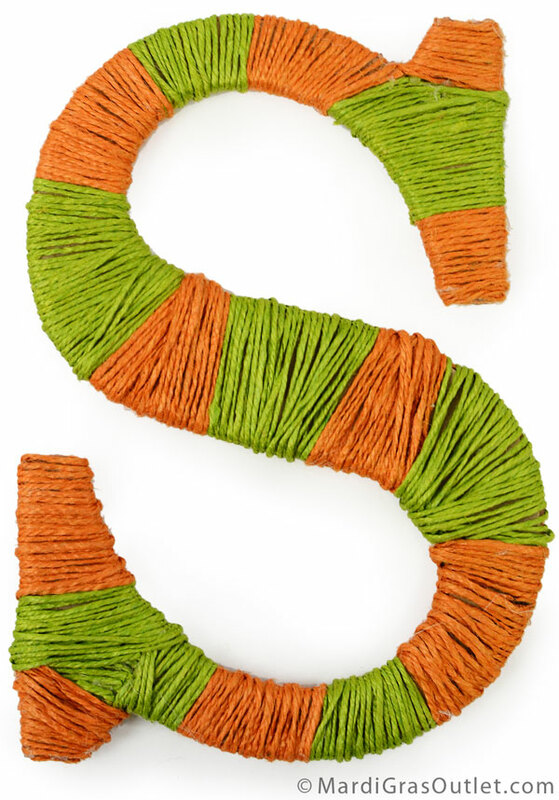 Wrapping decorative letters with jute rope gives them a natural texture that you just can't achieve with yarn or paint. 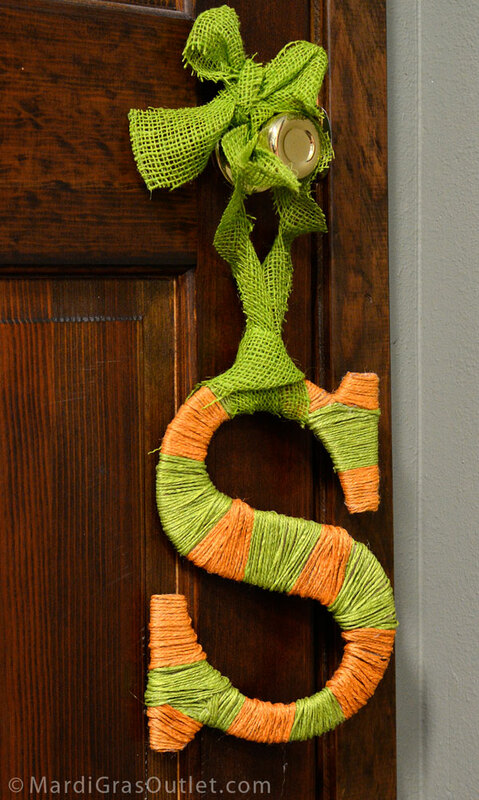 These rope wrapped decorative letters can be used to personalize wreaths, walls or bookcases. The jute rope product we use in this tutorial is coated so it is less likely to fray and can withstand use on an outdoor wreath. This is the second post in our series of creative ways to accent plain decorative letters. To see more creative ideas, click here. 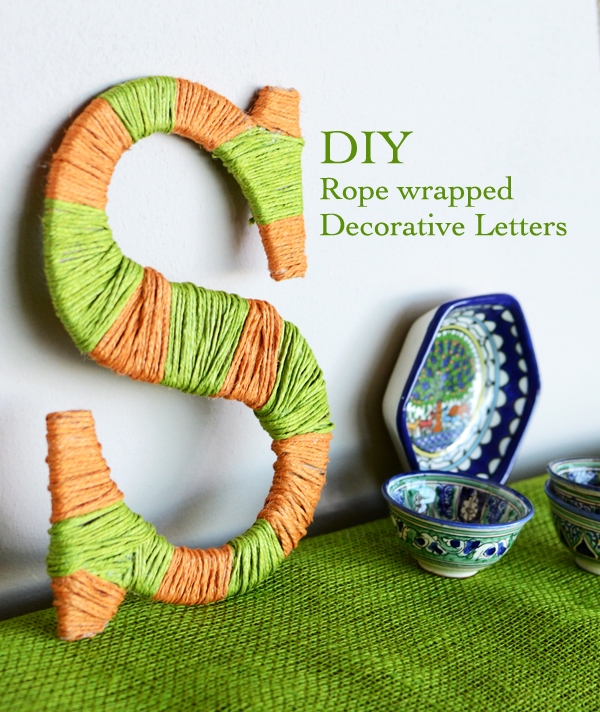 Wrapping decorative letters is easy and you can use almost any kind of string, ribbon, or rope. You can make them solid colors, striped, or hombre. The options are endless. We chose to make our striped to add two punches of color. What will you create? 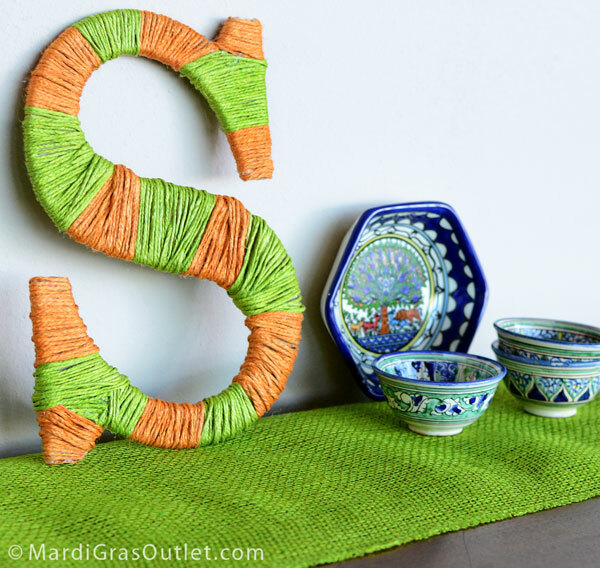 This decorative letter craft project cost only $7! It took about 30 minutes to complete. 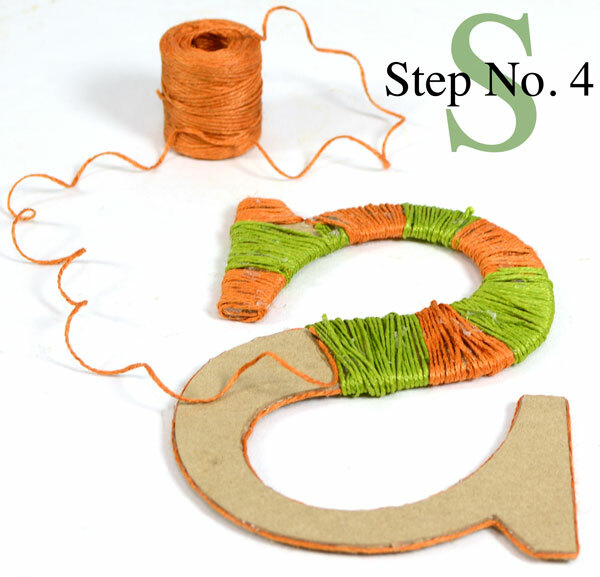 Glue a layer of string around the outside of the letter, this will help hide areas that you may miss when wrapping. Glue your string onto the backside of the letter. This will keep the front neater and more uniform. 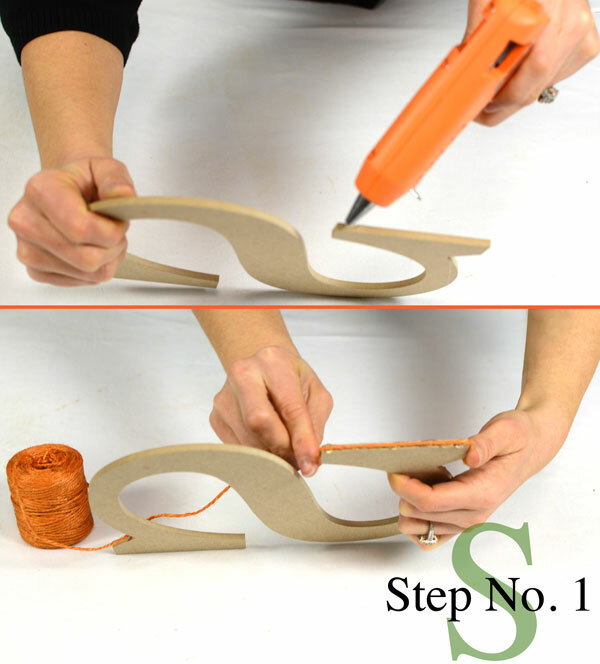 Wrap around the letter, keeping the rope tight, adding some glue every few inches to keep the string or rope secure. Trim the first color rope from the roll, and glue down the next color. Wrap the same way you did the first color, gluing every few inches on the backside of the letter. Just keep wrapping! Keep the rope as taught as possible without moving it from the glue. 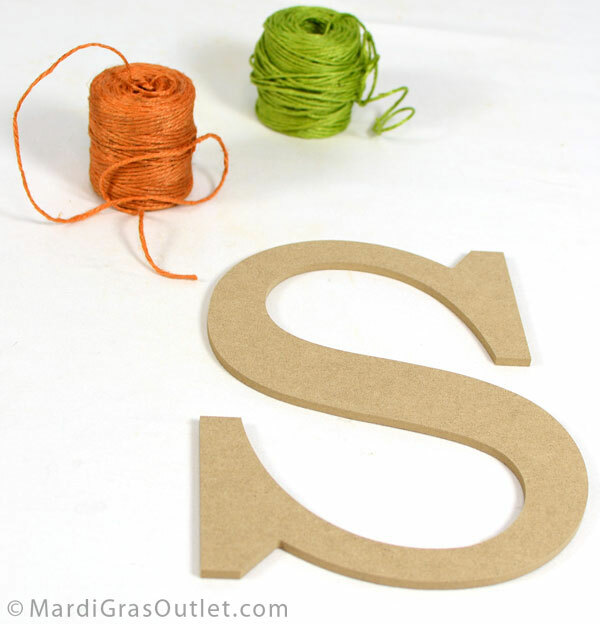 The finished Letter "S"! We really like the texture of the Jute rope and the bright, whimsical stripes! The rustic quality of jute lends itself to many different decor styles.